In February Jim and company released Walk Between Worlds, the 18th studio album by Simple Minds, via BMG. The album comes with a lineup change for the band, still led by Jim and Charlie and including bassist Ged Grimes along with newcomers Sarah Brown (vocals), Gordy Goudie (guitar), Cherisse Osei (drums), and Catherine AD (keyboards). 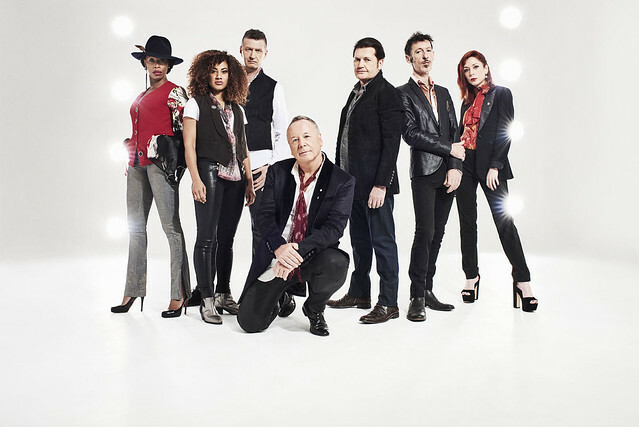 In a review for Paste, Robert Ham hailed the staying power of Simple Minds. Our show at 9:30 Club is sold out, so book your show on this tour before it’s too late! (Unlike some other irresponsible blogs, Parklife DC does not recommend you turn to third parties and scalpers.) 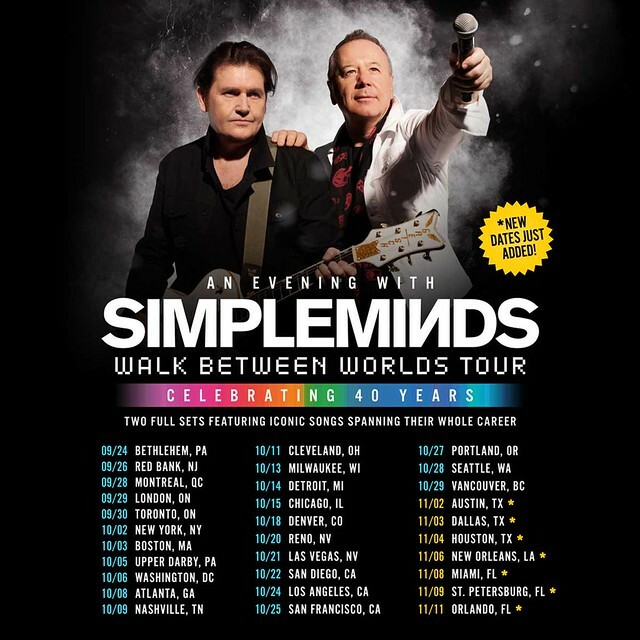 Simple Minds have a long and winding tour across the country to end in Orlando, Florida, on Nov. 11. Visit Simple Minds’ website for complete tour information.